HELP: I Don't Fit In! Something that I need to be honest with myself about is that I feel like I don’t fit in. I’ve just come back to uni, I have some really great friends, but I don’t feel like I fit into a box. So many of my friends have various different cliques, and I feel conflicted because I don’t. I thought the first year of university would be the best year of my life, but in reality it wasn’t great.. I mean, part of that was because of all of the personal things that were going on. But, the other part was definitely because I felt like I didn’t fit into a friendship group. So many people on my course had cliques that they ALWAYS sat with in lectures, and even when I got close to somebody I felt like I could never be a part of that. I felt left out, to be honest, and it really got my down. But I’m starting second year with a fresh set of eyes and a healthier mind frame. The reason I don’t have huge friendship groups is because I like low maintenance friendships, and that’s perfectly okay! Ever since school, I’ve just not been able to be friends with a specific clique, I like to be friends with everyone, but this means that I don’t tend to form deep bonds. I think this is mostly a form of self-protection. I had a rocky few years from when I was 13 until, well, I suppose it’s still happening right now. A lot of people I trusted hurt me deeply, and I think that has had a really lasting impression on me subconsciously. I struggle to get close to people, and I also panic and back away when I feel like I’ve let someone in too much. But that’s okay right? It’s perfectly acceptable to feel that way. And it’s also acceptable to feel left out and like you don’t fit in. If I’m honest, I’ve never experienced this before. My university is very different from my school that I attended since I was 3, everyone already knew me there so there were no awkward interactions. I didn’t ever feel left out because I knew where I belonged, and I think I liked that comfort. Now I’m at university, that’s gone and it’s a little scary. But I’m coming to realise that that’s totally fine. Everyone has gone to feel like they don’t fit in at some point. Let’s face it, I like to be alone. The thing is, I moan about not fitting in, but I’d much rather be alone to concentrate and work hard. I think it’s just the stereotype of what your first year at university ‘should’ be like that makes me feel like I’m the only person that feels this way. So yeah, I’m entering second year with a fresh mind set. Being alone is beneficial, and so is having good friends, but I don’t need to be in a clique to have either of those things. I’m perfectly okay. I’m perfectly normal. And not everyone has the same university experience, right? I’m going to carry on doing my thing, reading/working in between lectures, being friendly to everyone, and reminding myself that it is OKAY to be alone sometimes, and everyone feels like they don’t belong at some point in their lives. In conclusion, you do you and I’ll do me ✌🏼. I’m so sorry that you feel this way hun, I was left out a lot at school and never fit in at uni either, so I can relate. Hayley, please can you explain how you have managed to get into my head, extract my thoughts on this subject, and write it into a post?! I relate to this on pretty much every single level. although I would say that I have many friends, I certainly wouldn’t identify myself as being part of the clique. I didn’t feel that way in sixth form, I was friends with the odd person from the many cliques that made up my year group, but I never felt fully welcome when hanging out with the entire group of people, which often made me feel quite lonely and left out. 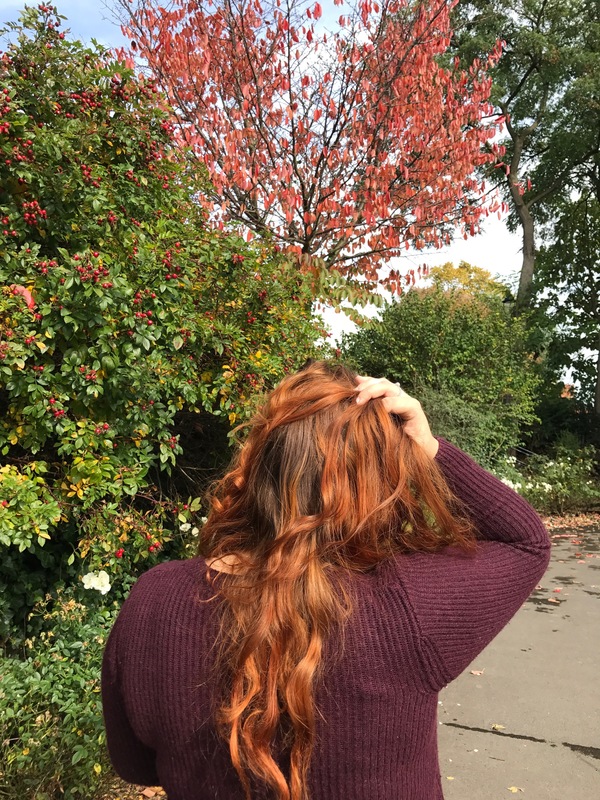 At university, I felt the same way, I really value my alone time and I find it very stressful to deal with “high maintenance” friendships and relationships, but sometimes I do feel a bit lonely and worry that nobody actually wants me around! it really upset me during my Masters year that I was not acting how a student “ought to act” with a large group of friends going out all the time! But I’ve come to realise that that’s just not me, and that’s okay! I’m trying to feel more confident about doing my own thing and not worrying so much about being lonely, although it is hard at times! A fantastically written post right here, it resonated so much with me! Thank you so much for this comment love! I’m so sorry that you feel this way, but like I said it’s completely normal and so many people feel the same! Previous Post The Wedding Diaries: The National Wedding Show at NEC Birmingham 2017!